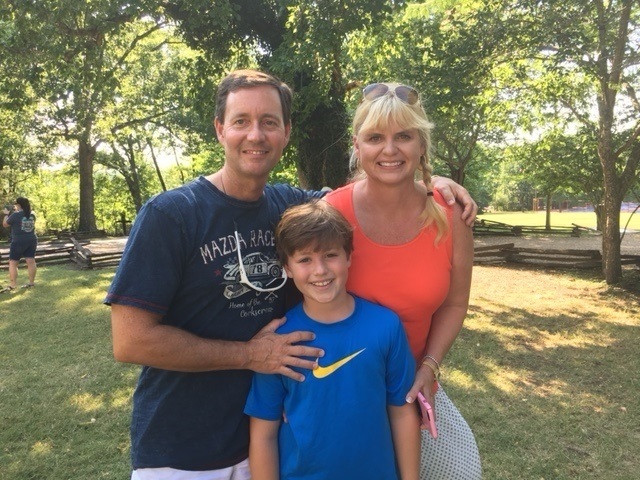 Kamp Kanakuk | Collier Wealth Management, Inc. This summer our youngest son, Lucas, for the first time attended a 2-week camp in Branson, Missouri called Kamp Kanakuk. Kanakuk is a Christian camp that’s been in operation since 1926. He had an amazing experience. My wife and I have never been away from 9-year-old Lucas for this long, and this picture is from a few minutes after we were reunited with him. When he first saw me, after hugs and kisses, he said “Daddy, I rang the bell. That means I asked Jesus into my heart.” Priceless!! Kamp Kanakuk has been also trying to reach kids in the inner cities of America by offering an opportunity to attend the camp free of charge. We were so inspired by the experience Lucas had at the camp, we decided that Collier Wealth Management will sponsor 5 inner city kids to attend Kamp Kanakuk in 2018. We look forward to what God will do as He moves in the hearts of these young people we will likely never meet.